The Inner Edge offers 10 practices of personal leadership, showing leaders how the same skills they use to lead their companies are the ones they need to lead themselves. In this book, executive coach Dr. Joelle Jay, Ph.D. shows leaders how to improve their effectiveness while sustaining the sense of professional well-being needed to excel. On the Path to Achievement, t’s so easy to get inspired. Why is it so hard to follow through? The 52 Steps Along the Inner Edge are weekly reminders to keep you on track with personal leadership, so that you can achieve what you want to achieve, and lead the life you want to live. You will receive quotes from inspiring experts, current business leaders, and The Inner Edge, all designed to keep you striving and thriving as you use personal leadership to break through your limits to ever-higher levels of success and achievement. The Workbook is a companion guide to The Inner Edge. It contains all of the worksheets from the book, plus a synopsis of every chapter and bonus material, combined into one convenient downloadable workbook. It has been created to give you more room to write, more space to think, and more support in your efforts to be a better leader and lead a better life. 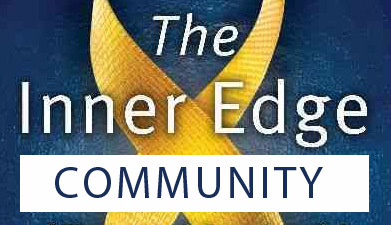 The ideas and strategies presented in The Inner Edge represent only a portion of the all that’s available for Inner Edge leaders. The Inner Edge Extension is a full-length digital eBook filled with bonus chapters, new strategies, and extras not included in the book to expand your learning and enhance your achievements. In The Inner Edge, Jay coaches leaders in the strategies of personal leadership – what management expert Peter Drucker once called "the only leadership that’s going to matter in the 21st century." 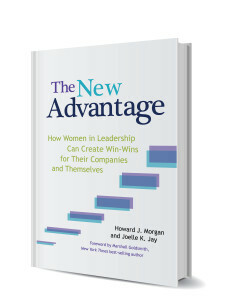 Discover new ways for improving business results by advancing women as leaders. It’s executive coaching you can hold in your hands – a practical guide to personal and professional success.